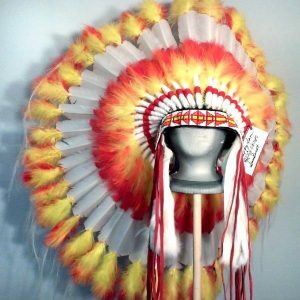 This is the NEW PHOENIX War Bonnet ! The PHOENIX is a symbol or re-birth or new life rising from the ashes of what once was. Certainly, I can think of no more fitting symbol than this to signify the re-birth of a people ! 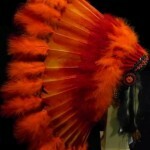 This beauty is designed with variegated feathers with vivid red & orange fluffs. 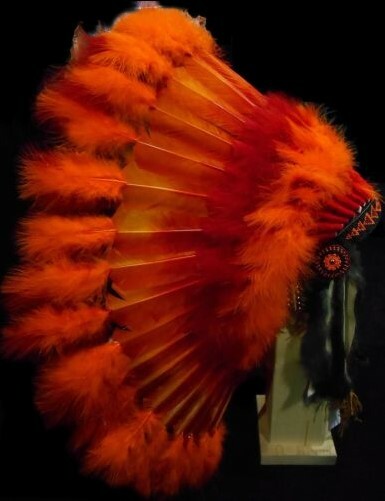 Each feather is wrapped in bright red & tipped with those red & orange fluffs & horse hair. 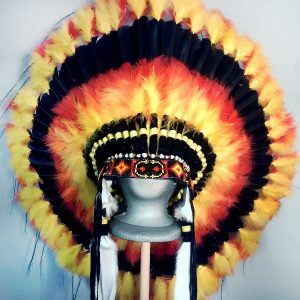 The beaded brow band is hand sewn to the felt skull cap which is completely covered in the back with a single decorated honor feather in the center of the crown. 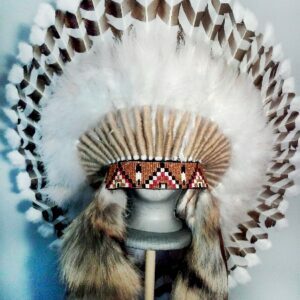 Two matching beaded rosettes are at either side with either rabbit fur or coyote tails for drops (depending on availability). 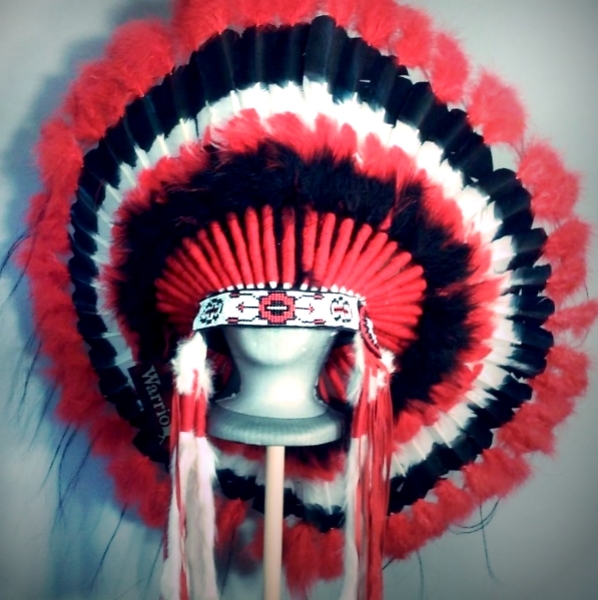 This one will surely stick out from the rest or will be the focal point in any room. One size fits all. 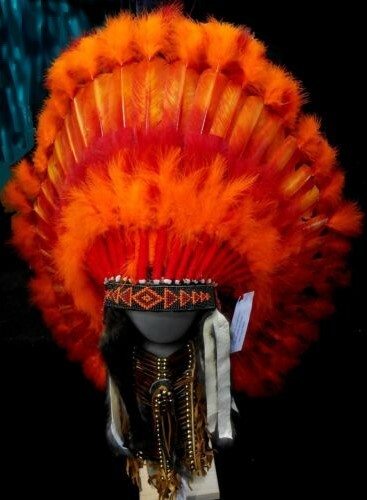 This bonnet created by Buffy Sam of the Navajo people. Breastplate choker & stand sold separately.